Having recently returned home to Jamaica after an awesome performance at the Irish and Chin / VP Records "Reggae For Japan Charity Concert" on June 5th in New York, reggae singer Duane Stephenson will travel to Boonville California later this week for the 2011 Sierra Nevada World Music Festival which will run from June 17th - June 19th. 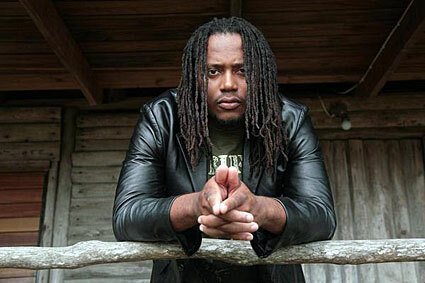 Stephenson who has been spreading the message of reggae across the U.S since January with tour partners the Wailers, is slated to perform for the first time at the prestigious festival which attracts thousands of music lovers every year. The Festival which was founded 17 years ago promotes conscious music with a message of peace, unity and brotherhood amongst all races and cultures. Other top artists booked to performed this year include Toots and The Maytals, Steel Pulse, Anthony B, Horace Andy, Romain Virgo, Rebelution, Collie Buddz, Midnite and The Jolly Boys. In other news Duane Stephenson is continuing his efforts to eradicate hungry in impoverished countries, in a recent post on his wefeedback.org blog Stephenson made a passionate plea for additional support.